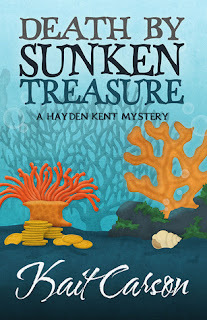 When Hayden Kent’s mentor and friend discovers her son Mike’s dead body, dressed in full scuba attire, washed up on Pigeon Key, she needs Hayden. Her paralegal and dive skills may help unravel the tragedy of Mike’s last days. He’d recently discovered a sunken Spanish galleon and rumors that he hit the mother lode ran through the Keys like wildfire. 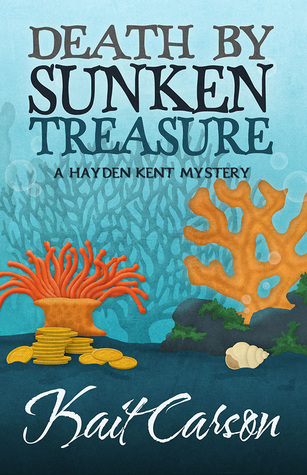 Hayden’s dive on the treasure site uncovers gold, and clues that Mike’s death was something far more sinister than an accident. When two different wills, both signed the day Mike died, are delivered to the courthouse, the suspect list grows, as do the threats against her. The danger escalates as she tries to save herself, discover the motive, and find the killer. I was thrilled to read a book where the action takes place in the Florida Keys. I live in Florida and it is one of our favorite places to visit. Hayden Kent is the main character. The woman who took care of her after her parents died has just lost her son. They soon decide it was murder. The author has created characters that are very believable, along with a great plot line. I could picture myself in the Keys. The dives were well described. The pace is just right for this type of novel. I realized that this was the second book, and I would definitely need to read the first book to find out how it all started. It is not necessary to read the first one to understand the second one. I am one of those people who doesn’t want to miss out. I had not read anything by this author, but would definitely recommend them.